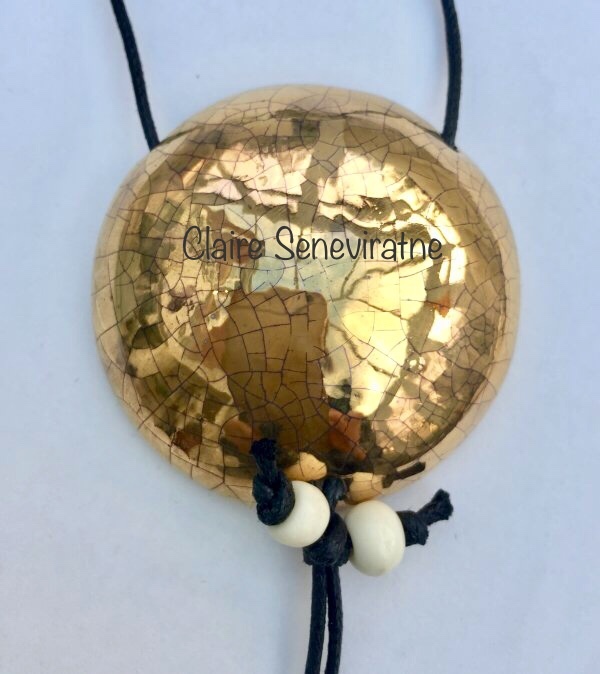 Claire Seneviratne - Ceramic Artist: Large round gold pendant. to an adjustable black cotton thong. It has been fired in my kiln with glaze and gold lustre. The lustre contains real gold. Diameter is approximately 5 cm.